I came to you in my sophomore year with terrible pain in my left throwing elbow. You diagnosed me with a broken elbow and a damaged Ulnar Collateral Ligament. Surgery was on February 17, 2012. You repaired the break as well as performing Tommy John surgery to repair the ligament. Dr. Ahmad, you told me if I did everything you said and follow all your instructions to the letter everything would be fine. The surgery went very well and I had a great recovery. One year later (almost to the day), I began tryouts for my high school team. 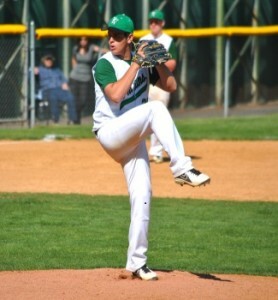 I made the team as a starting pitcher as well as a starting first baseman and my arm is better than ever. My parents and I can never put into words how grateful we are to you, Katrina, and your entire staff for giving me back what I love the most…BASEBALL!! !